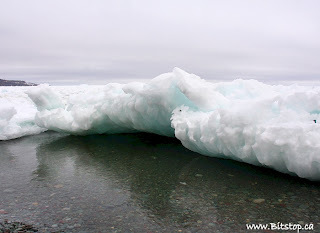 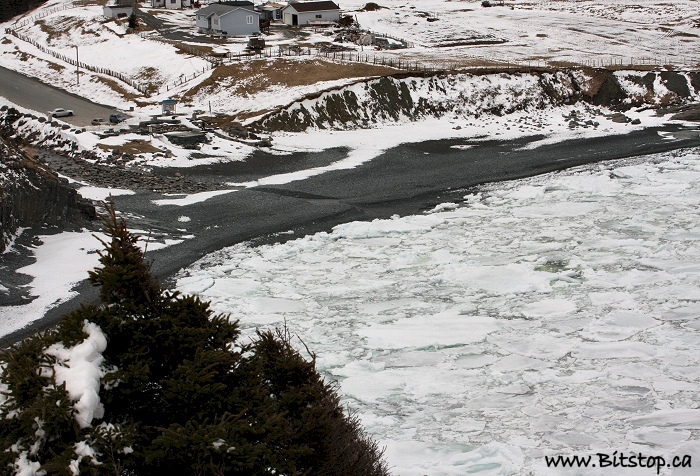 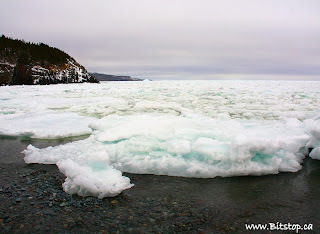 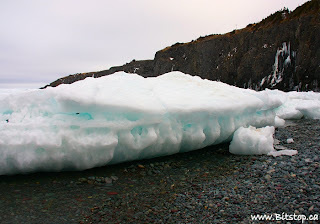 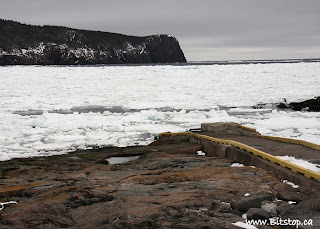 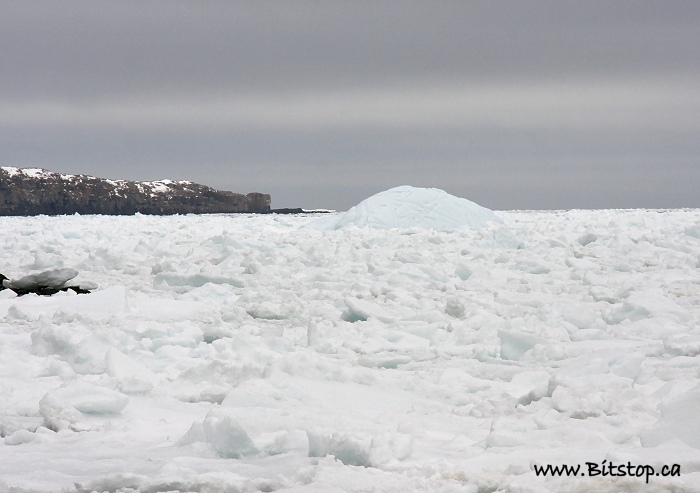 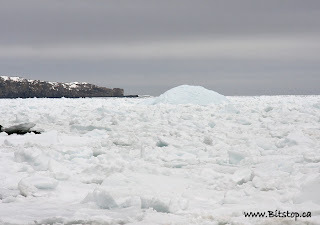 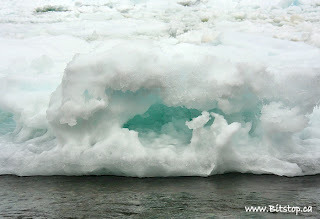 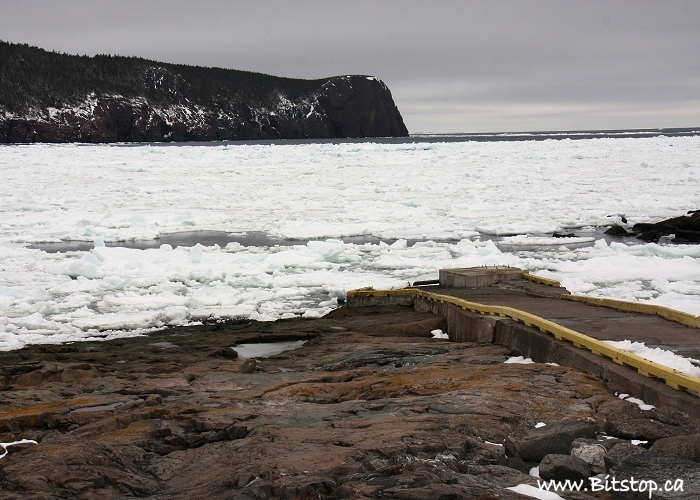 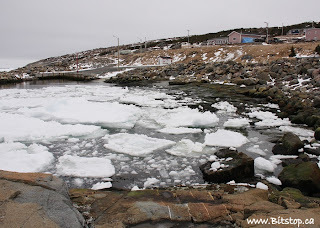 It was a grey, dull day today but the pack ice was in so I had to go out and get pictures of it (in Middle Cove and Flatrock). 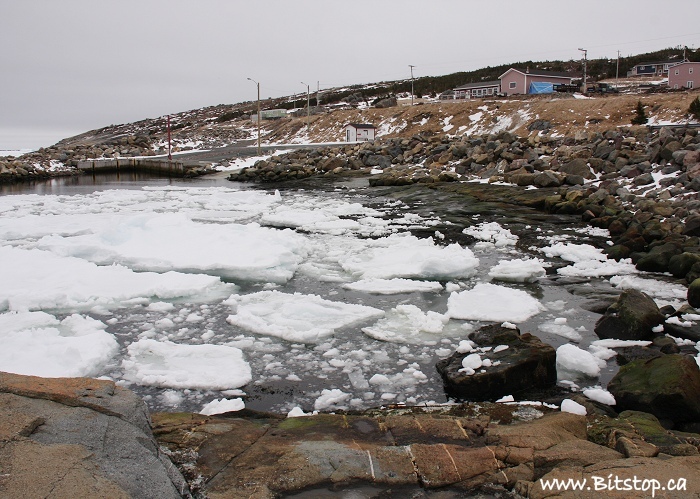 Impressive to see. We're already in spring time, although some night frost is expected soon.